Spring Registration is opening up Soon. WELCOME TO THE PREMIER FOOTBALL & CHEER LEAGUE OF ROUND ROCK! We are THE premier football & cheer league in Round Rock that has been in operation since 1997. Our league emphasis is attractive to the entire family as we promote a program that teaches fundamental football, cheerleading and fun. 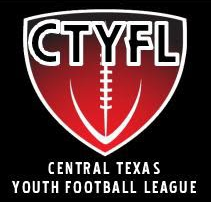 ©2019 Round Rock Youth Football / SportsEngine. All Rights Reserved.